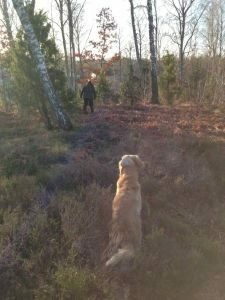 A while ago Åsa and I had an gun dog course and came back so happy! Great participants that had really developed since last time we saw them and that also made great progress during the weekend. We worked a lot with steadiness, heelwork and delivery to hand. In the video below you’ll see a delivery to hand exercise with a lot of distractions.